Whether you change your hair color or update your wardrobe to keep up with the fall trends, there’s one thing you must not forget: hair accessories! 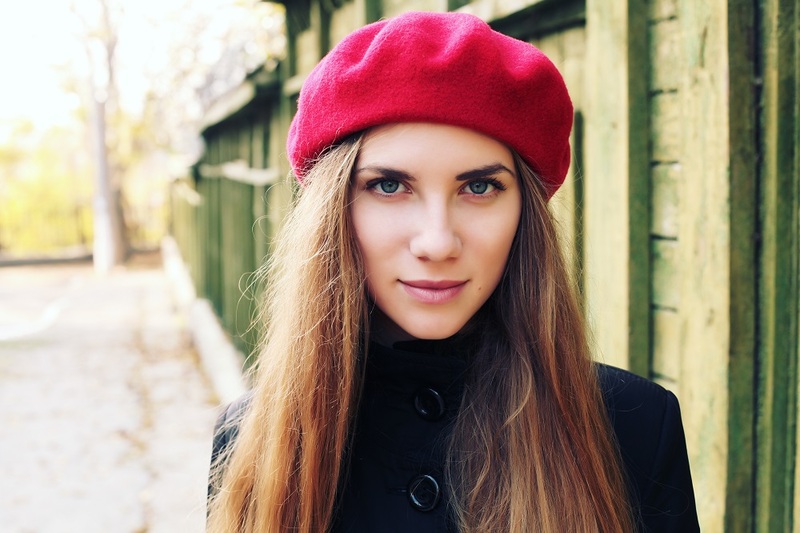 In the same way that autumn leaves give an accent to nature, you can do the same with your hair by wearing an accessory that will accentuate your gorgeous hair. Bows might seem intimidating, but don’t let that stop you from wearing them. These lovely accessories come in different colors, styles, and sizes. Be sure to try on many options before committing to one. The best way to know if a bow is the right one for you is how comfortable you feel wearing it. You can even take selfies while trying each one to evaluate which one looks best. Besides black, the perfect colors for bows in the autumn are hues of purple and dark red. If you’ve ever watched Gossip Girl, you know that Blair Waldorf was obsessed with headbands and that they were an essential part of her look. Well, we can’t blame her! Headbands can instantly transform your look. 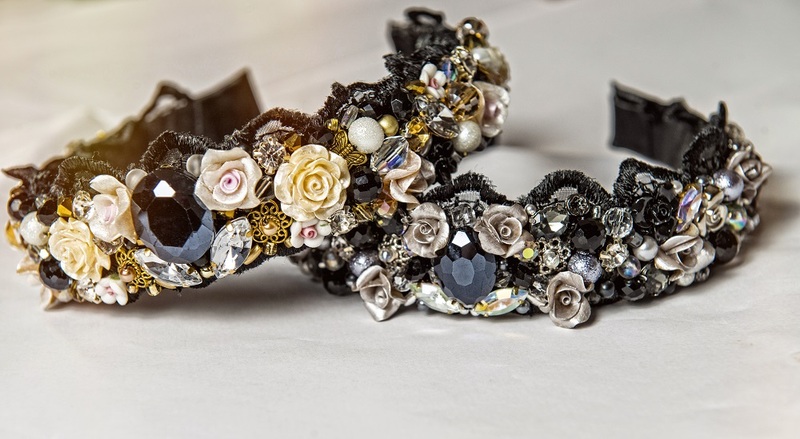 You can go from romantic to sassy or vice versa, depending on the headband’s style. This autumn’s trend is to wear headbands with jewelry, which will give you a hint of a royal look if you don’t want to commit to a tiara (more on that later). 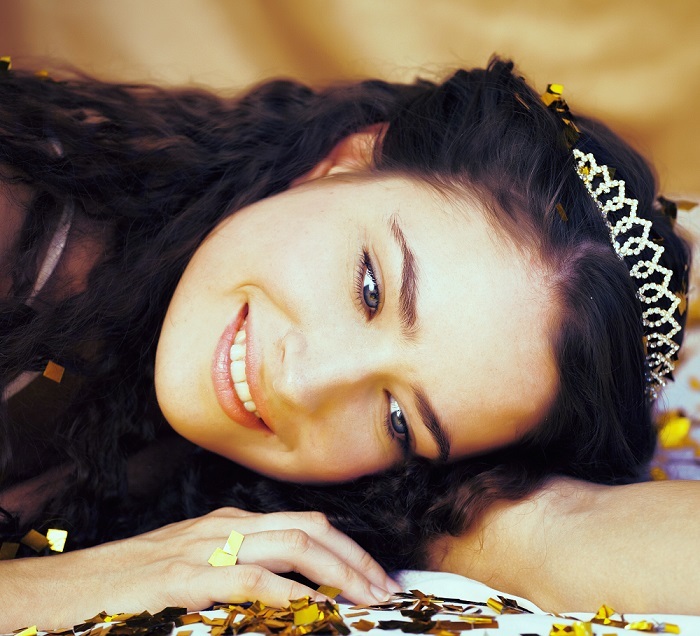 Have you ever woken up in the morning feeling like you’re a princess or a queen? If you want to complete that feeling with a fashion statement, then you must wear a tiara. There’s a variety of tiaras that go from subtle to decadently bejeweled. You can wear them with straight or wavy hair for a romantic look or rebellious locks for a rock n’ roll royalty style. Sure, you might have a previous notion that bobby pins might not be synonymous with glam, but they actually are! 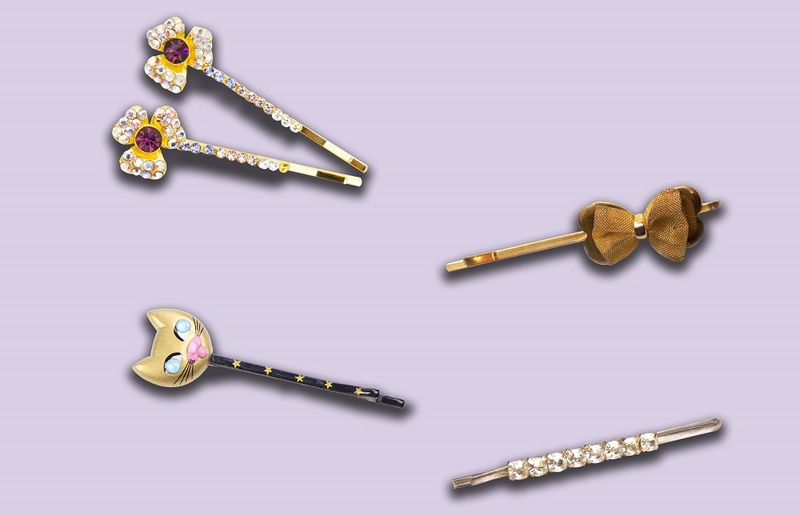 You already know the classic golden and black bobby pins, but there are other kinds as well. This fall, the most popular ones are bejeweled (pictured above) and in solid colors (like yellow, for example). Even the classic ones can be positioned in more creative ways to reinvent their look. So never underestimate the power and beauty of bobby pins; they can upgrade your hairstyle! These accessories are another way to continue with the everything-must-be-shiny trend. Bejeweled barrettes are perfect if you prefer an accessory that’s smaller than a headband or tiara, yet still breathtaking. 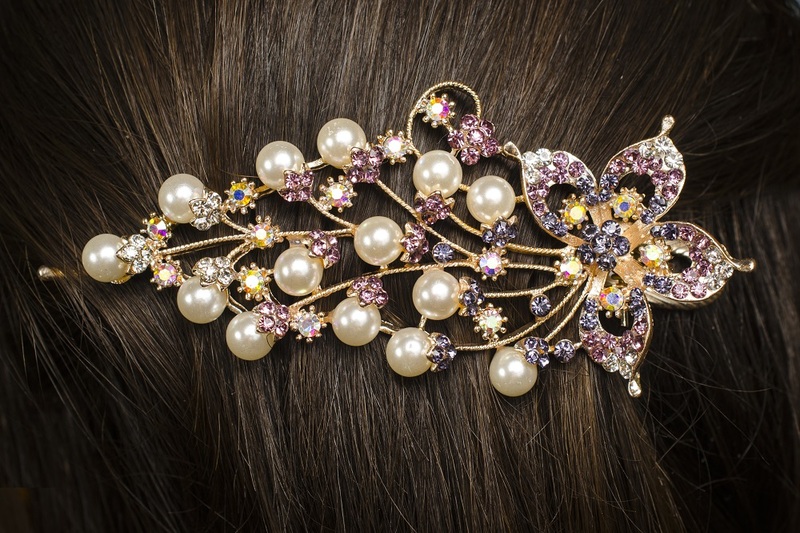 Pearls and rhinestones will absolutely illuminate your hair in a very ethereal and sophisticated way. Which one of these accessories will you wear while strolling through the park and softly crushing leaves as you walk by? Decisions, decisions! Have You Tried These Hair Accessories?